Happy π day! 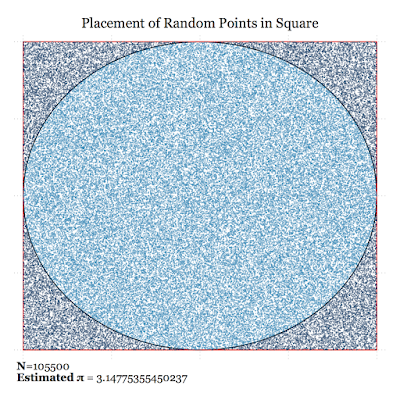 Estimating Pi by graphing random numbers with Stata. √-1 2^3 Σ π and it was delicious (because it was of the pizza variety). 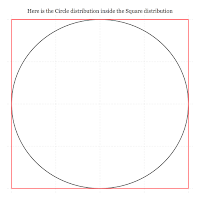 My obligatory March 14 Pi post involves estimating Pi by finding the proportion of randomly plotted points inside a square that are also inside a circumscribed circle. 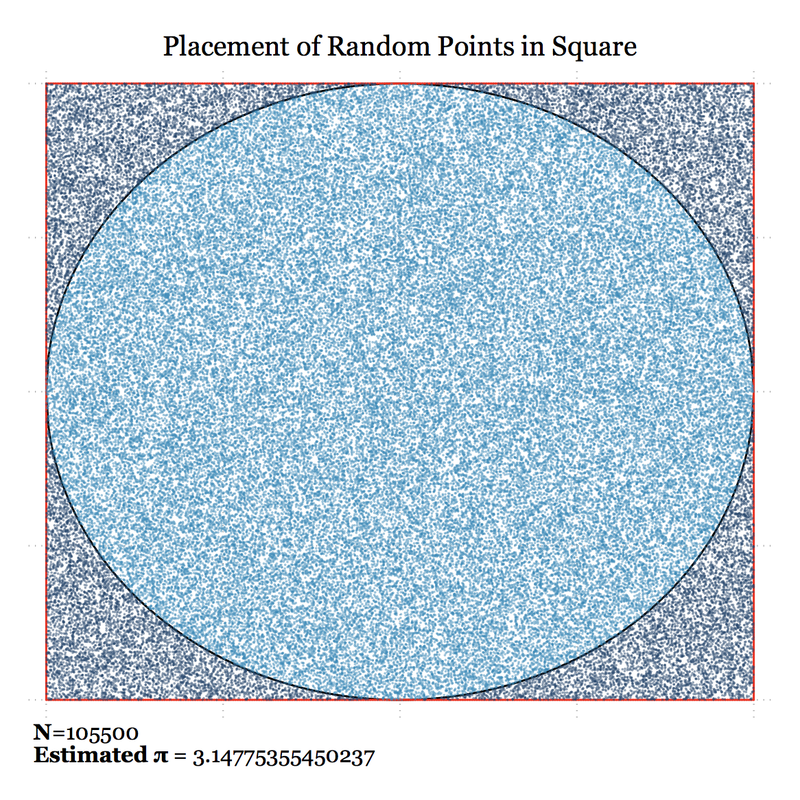 The larger the number of points we plot using this method, the closer to Pi we get (sort of Pi estimation by simulation in Stata (I know, I know, it should have been programmed in PYthon)). calculating the log(6)^log(5)^log(4)^log(3)^log(2), or whatnot. or just cheat and plot circles via -tw- functions or -graph pie-, etc in Stata. The program code included at the bottom of this post does this in Stata for you. 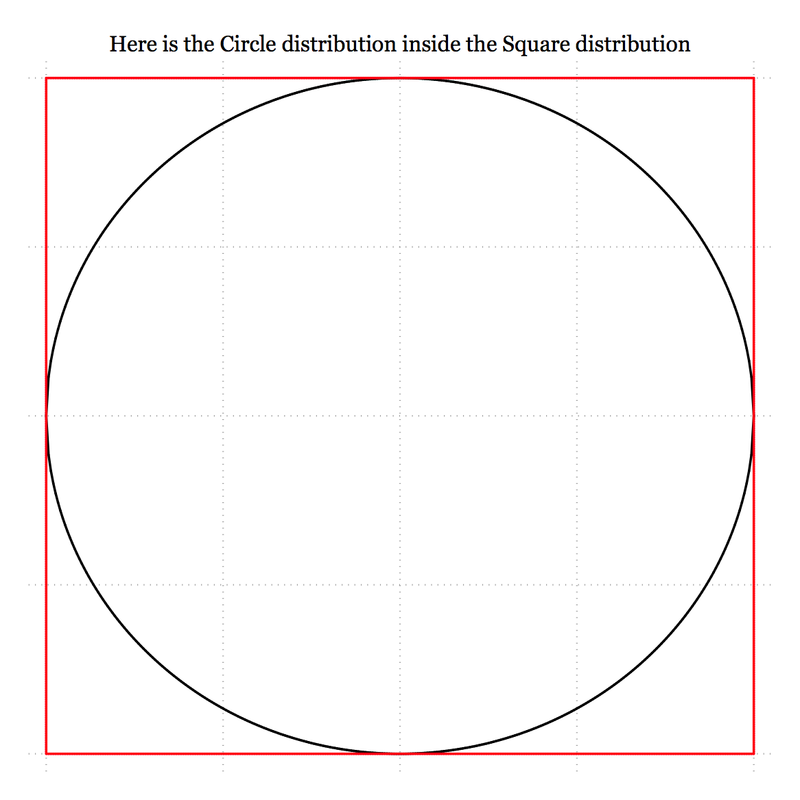 It first plots a circle circumscribed by a square (you can access just this graph (shown on the right) by running the option 'basegraph') and then it plots the # of random points you specify and calculates the proportion insides the circle; this approximates Pi ( increasingly as the # of random points --> ∞ ). Algorithms like these, which use random numbers to approximate deterministic outcomes, are often called Monte Carlo methods/simulations. If you run the code below you can watch the simulated random points that are plotted increase and you'll notice the improvement in the estimated Pi value in the graph caption as well as the output in the results window.